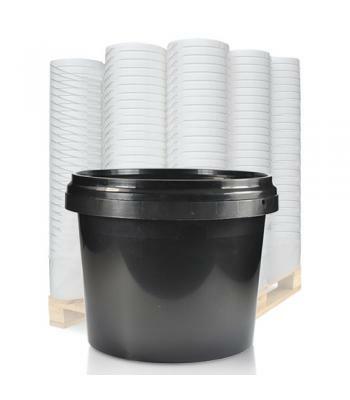 Plastic buckets are some of our most popular products, not only because they are used throughout many different industries, but also because our buckets are manufactured by leading plastic manufacturers, who all follow strict quality control procedures and work to high industrial standards. 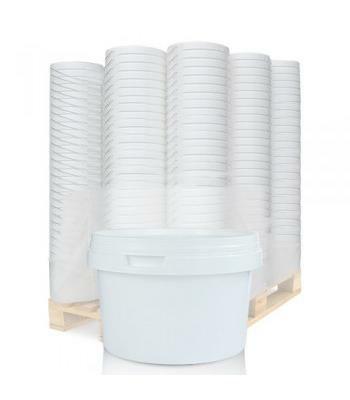 This has resulted in a superior range of robust, food grade, tamper evident buckets for the secure storage and transportation of many different materials. 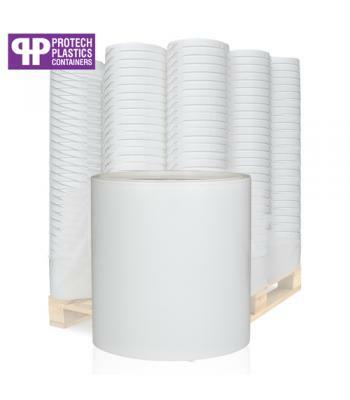 Our buckets are made from white polypropylene (PP) plastic, with the exception of the 'Fermentation' bucket, which is made from natural, translucent plastic (to enable the fill level to be seen) and the 1 litre and 2.5 litre black buckets. 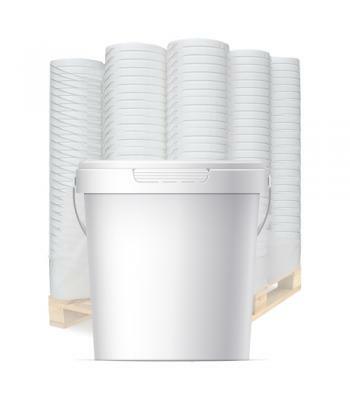 Most small buckets come with a plastic carrying handle, while our larger buckets come with a strong, metal handle. 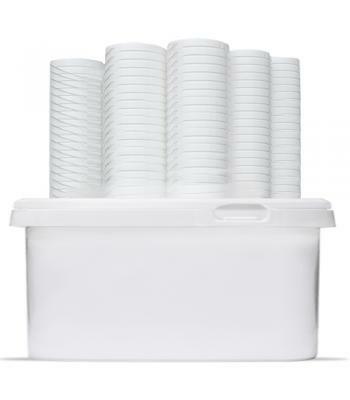 Their tamper evident push on lids ensure that products will be kept free from contamination until use. 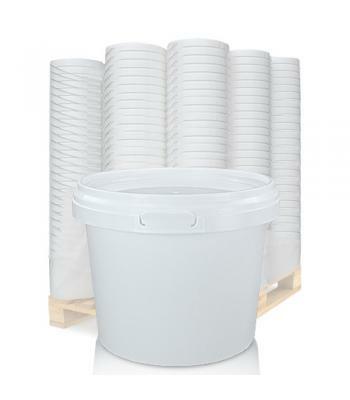 All of our buckets are food grade approved and are suitable for powders, paints, gardening products, toiletries, household products, DIY materials, home brewing, fishing baits, household storage and many other materials. 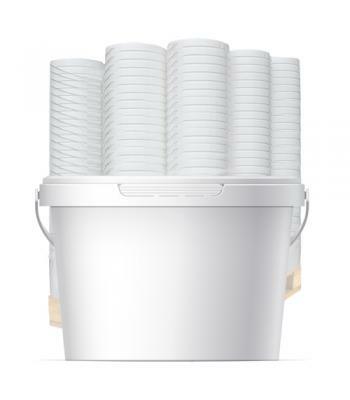 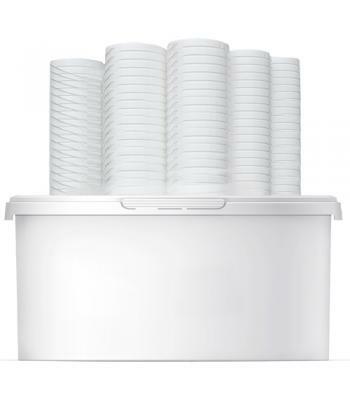 The buckets can be stacked, to save on storage space. 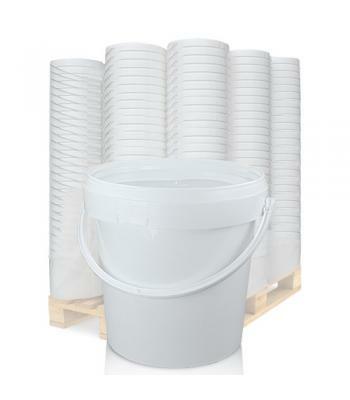 We are also able to supply printed buckets upon request.